(NaturalNews) For a planned county communications system called LA-RICS, new cell towers are being installed at fire stations across Los Angeles County. They are being installed overnight without any notice to residents. All environmental regulations and required studies have been pushed aside and ignored. Firemen sleep and reside at firehouses for days at a time, with a cell tower just a few feet away. The fireman's union opposes this and many firefighters and citizens showed up at a recent Los Angeles County supervisor's meeting to protest. The firefighters are asking for public support. This story made the local TV news. The county fire chief and the county sheriff testified that they see no health issue with these cell towers. The LA RICS program had their expert testify that cell tower radiation is safe. But neither the fire chief, the sheriff, nor the expert will have a cell tower installed next to where they live or work. The L.A. board of supervisors voted to stop the installations where objections are voiced. Cities in L.A. County have already dropped out of the program. So if you find one of these new cell towers is being installed in your neighborhood, you can protest and stop the installation before it happens. The Los Angeles Department of Water and Power (LADWP) has an experimental program with about 50,000 new smart electric meters installed in various parts of the city. 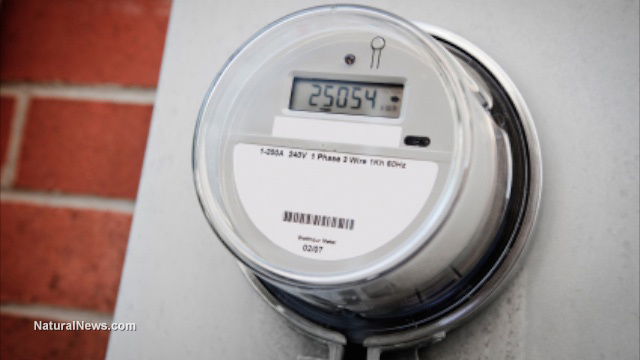 Letters from the LADWP tell customers they will be getting a new smart meter. The letters do not mention that customers can refuse the smart meter, or how to notify LADWP to not install it. Thus nearly all LADWP customers are unaware they have the right to refuse the radiation emitting smart meters, which make some people sick. The situation in Los Angeles is better than in most of the nation where smart meters are becoming mandatory. A few years ago, a woman got sick from a new LADWP smart meter. LADWP refused to replace it with a safe analog meter. When the customer replaced it herself, LADWP cut off her electricity. She complained to L.A. city councilman Herb Wesson and he made the LADWP turn on her electricity and give her a safe analog meter. Because of this case, LADWP probably has the most liberal policy on smart meters in the country. A customer in a test area who gets a smart meter and later decides he doesn't want it anymore can have LADWP remove the smart meter and install a safe analog meter for no cost. That is unheard of anywhere else. The electric bill will remain the same, regardless of the type of meter. But all this is completely unknown to LADWP customers. The test program is due to end in September. That may also mean the roll out of smart meters to the entire city. If that happens, there will very likely be a regular fee charged to any customer who wants to keep their safe analog meter. People who want to protect their health will have to pay extra. Sensitive people could be affected by their neighbor's smart meter. If enough people refuse the smart electric meter, LADWP may not roll out the program to the entire city. But since most customers are unaware of the hazards that seem unlikely.